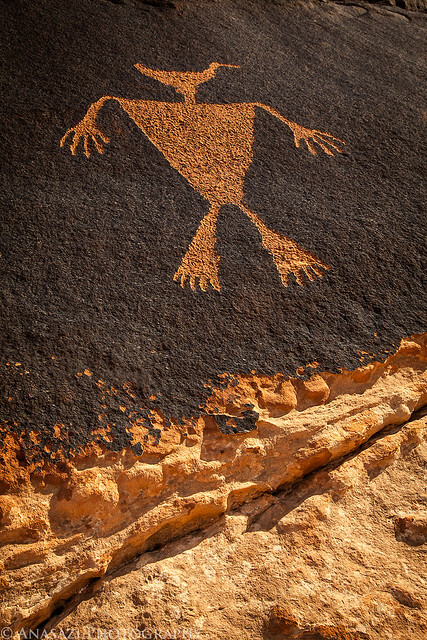 I finally got to return to this amazing petroglyph of a duck-headed man this morning. The last time I visited this panel was a few years back…before I even owned a DSLR. At the time I just took a few snapshots with my point and shoot camera and then moved on. I have wanted to return for quite some time so that I could get a better photo, but it just never seemed to happen…until today!